The Five Star Down Alternative pillow and the Bear pillow feel about as different as they look. Side sleeper will most likely enjoy the cozy feel of the Five Star Down alternative while hot sleepers looking for support will enjoy Bear. Read on for my full comparison. Read the full Five Star Down Alternative Pillow review here. Check out the full Bear Pillow review here. You like down but have allergies. This pillow is hypoallergenic and made with polyester fibers but it will give you the same loft and feel as real down. You are on a budget. 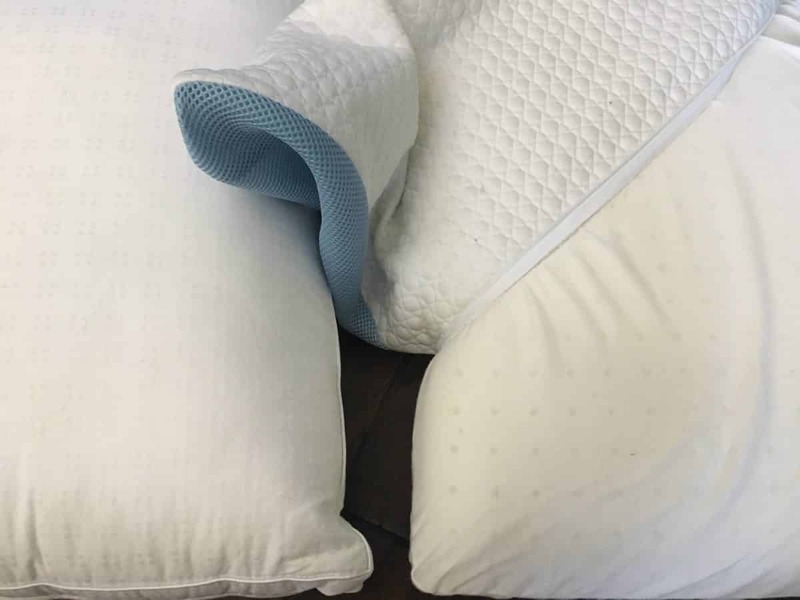 Compared to the Bear pillow, the Five Star Down Alternative pillow is significantly less expensive and could fit most budgets. You are a stomach sleeper. 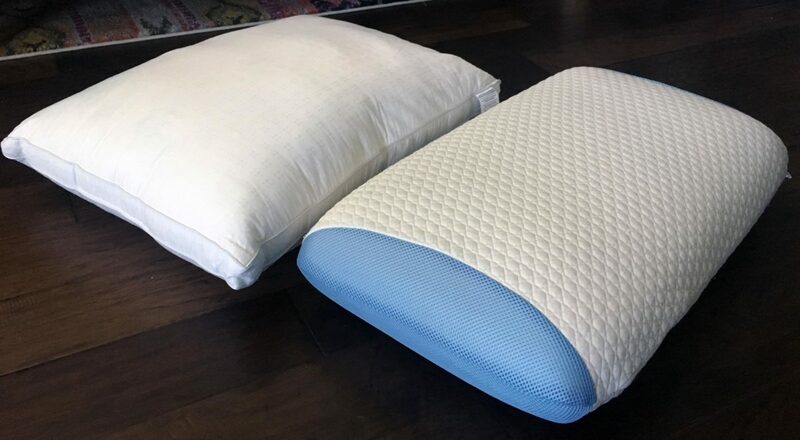 Based on my experience, I think this pillow is the best fit for stomach sleepers (or even back sleepers) who want a little bit more firmness and even distribution than a down pillow. You sleep hot. 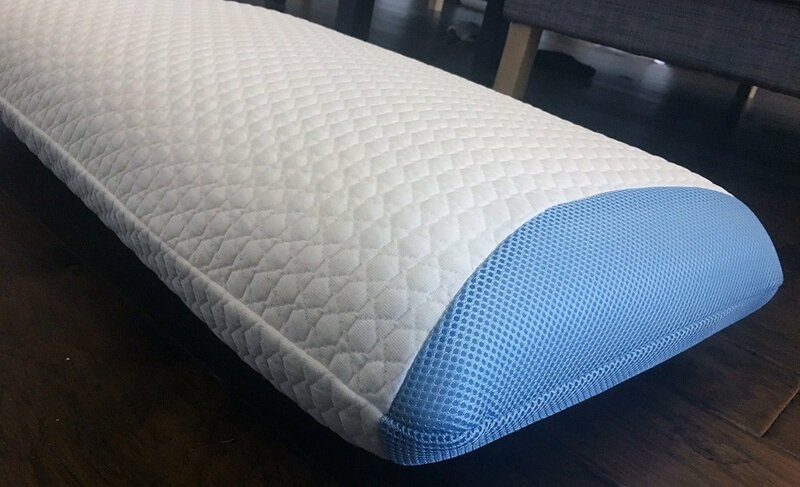 Between the ventilated LOFT-X hybrid foam and the Double Ice Fabric with breathable mesh panels, the Bear pillow is designed to be cool and breathable. You want firmness and support. 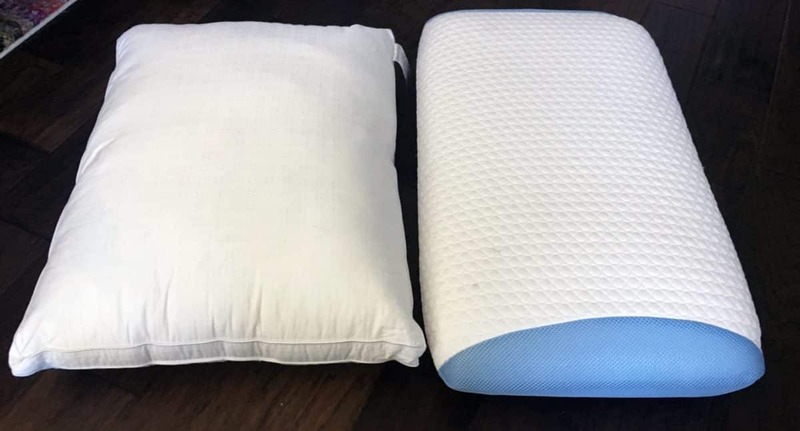 Compared to the Five Star Down Alternative, the foam filling in the Bear pillow provides way more support and makes it a good fit for back and/or side sleepers who typically prefer additional firmness. You hate when your pillow goes flat. As a solid piece of foam, the Bear pillow won’t go flat or change its shape and requires no fluffing to keep its current loft. I had a positive experience when I reviewed both of these pillows. As a natural side sleeper, I enjoyed the firmness and support from the Bear pillow, but I found the soft downy feeling of the Five Star Down Alternative and thought the gusset added extra loft. 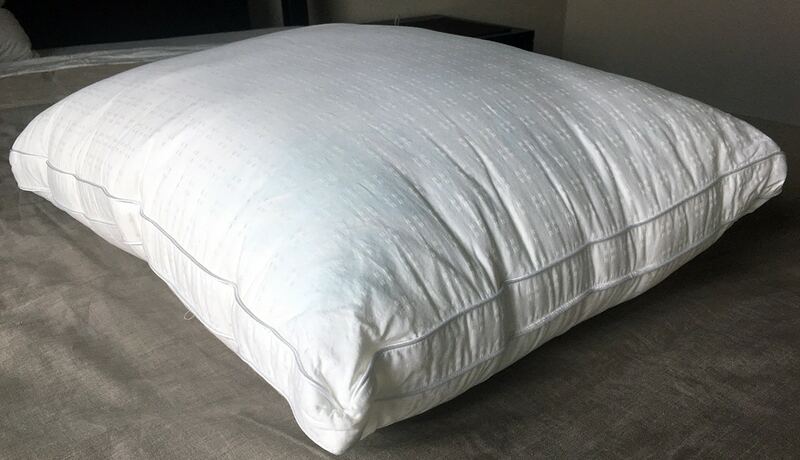 If the price is an issue, the Five Star Down Alternative pillow may be the preferred choice, but it doesn’t come with a trial period like the Bear pillow.